anders.io | Shall we play a game? Most, if not all, of the people interested in the bitcoin phenomenon have heard of MtGox, the Japanese bitcoin exchange. I’ll look in to some of the issues they’ve run into over the handful of years they’ve existed. MtGox started in 2009 as an exchange for trading cards (MtGox = Magic: The Gathering, Online eXchange), by Jed McCaleb. Before this, Jed was mostly known for creating the P2P-file sharing software eDonkey2000. In July 2010, MtGox switched from being a trading card exchange, to a bitcoin exchange, letting users buy bitcoin for “real money”. In November 2010, the bitcoin price was USD $0.5, three months later, in February 2011, it was on par with the US dollar at $1/BTC. A month after that, in March 2011, Jed McCaleb sold Mt.Gox to Mark Karpelès, a French developer in Japan, who is also the one behind the VPS service AutoVPS. In June 2011, just three months after Mark took over the site, MtGox was hacked, and over 60.000 usernames and hashed passwords were leaked. They reportedly accessed a MtGox “auditor” account, and issued huge sell orders for non-existing bitcoins, at any ask price, which resulted in a crash from $17.51 down to $0.01 per bitcoin on the MtGox exchange. They decided to reverse all transactions, and suspended the site for a week while checking and fixing the security. Since password re-use is common, many users got their bitcoin stolen from other exchanges and online wallets due to the leak of hashed passwords from MtGox. The following months there are still complaints about slow withdrawals, and frequent issues, but otherwise it is business as usual. The U.S. dollar prices on MtGox are usually higher than on other exchanges, perhaps related to withdrawal issues. Since yesterday, we are continuing to experience a DDoS attack like we have never seen. While we are being protected by companies like Prolexic, the sheer volume of this DDoS left us scrambling to fine-tune the system every few hours to make sure that things don’t go beyond a few 502 error pages and trading lag. There are however reports that the attack was directed to a single open backend-server, not the CDN-powered/DDoS-protected frontend ones. It was a single open server, running both the webserver and the exchange, and found via a simple scan of MtGox’s assigned IP block. Believe it or not, there is pretty much nothing that can be done. Large companies are frequently victims of these kinds of attacks. Even though we are using one of the best companies to help us fight against these DDoS attacks, we are still being affected. There are a few things that we can implement to help fight the attacks, such as disconnecting the trade engine backend from the Internet. However, since MtGox was the largest exchange, with 70% of all trades worldwide, it was not too strange to experience lag or issues during busy market times (quick changes in bitcoin value). 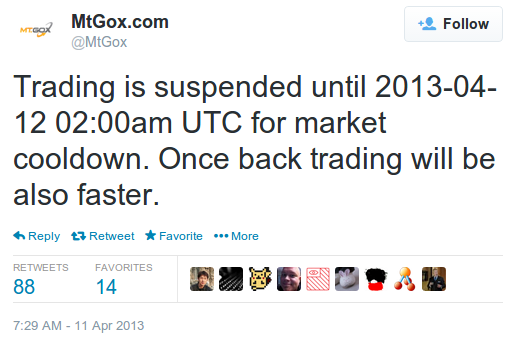 MtGox was by far the largest trading site, but something happened in May, 2013. The Department of Homeland Security issued a seizure warrant for MtGox’s account at Dwolla, their payment provider, since they hadn’t registered as a money transmitter with FinCEN in the US. They reportedly seized $2.9 million from MtGox’s Dwolla accounts, and another $2.1 million from MtGox’s Wells Fargo accounts, totaling in $5 million seized. In June 2013, they temporarily suspended U.S. Dollar withdrawals, but later reinstated it. 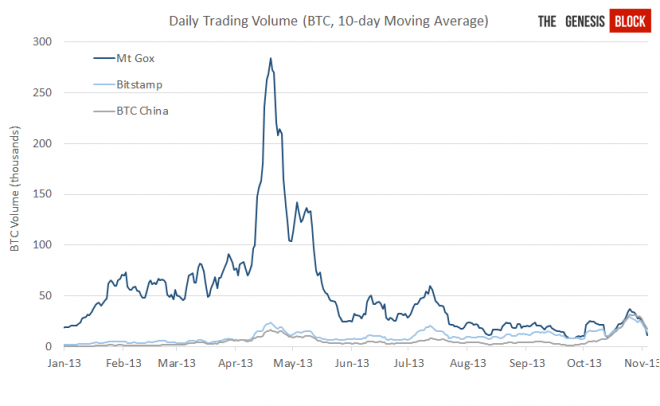 The last few months were troublesome for MtGox. Very few people have were able to successfully sell their bitcoin for money, and the few orders that went through took weeks or even months. Fast-forward to February 2014. After several months of withdrawal problems, and an increasing backlog of failed bitcoin transfers, they decided to disable bitcoin transfers also. With delays and issues in exchanging bitcoin for fiat money (regular currencies), and the halt of bitcoin transfers to other exchanges, or users own wallets, they have effectively cut of people’s access to their money. It may be a harsh thing to do, but the reason for this is simple enough: MtGox currently has no control over or knowledge of what bitcoins they have, and how much belongs to whom! There are several different bitcoin applications to use, however, the most common one, the reference client, is the one the bitcoin core developers are creating and updating. Other versions usually use the changes in this one as a reference to changes that need to be implemented, or at least should. MtGox doesn’t use the standard client, but instead they are using either an older version, or, more likely, a custom version of the software. This is where the problem arise. First, lets look at how the bitcoin network and a transaction works. All bitcoin transactions, from the single first one, to the ones being made right now, are stored in the bitcoin block chain. This is a big public ledger of every single transaction ever made over the years. This is the reason a new bitcoin client needs to download several gigabytes of data before it’s up-to-date and knows the current state of itself and the whole network. There are clients that only rely on smaller bits of the data, assuming that the previous ones are correct, but the block chain data is a feature of bitcoin which is necessary to prove that a certain address/person actually has access to certain funds. All of this is managed via a peer-to-peer network, where clients relay transactions to each other. When a bitcoin transaction is made (assuming it’s actually a funds transfer), it contains information of where the funds come from (the inputs), where they are going (the outputs), and the amounts transferred. Since every single previous transaction is known, the bitcoin software can follow-the-trail and know the inputs actually has access to the funds. Each transaction on the network also contains a transaction id. The transaction id is a hash of the contents of the transaction, so that every transaction will have (should have) a unique transaction id. Since bitcoin clients generally talk to each other via a P2P-network, this means that transactions are sent through different clients and added to the big public ledger. When a client sees a new transaction, it can check the public ledger to see if the sender should have access to those coins, or check if they have been spent already. However, since it’s a P2P-network, perhaps they were spent already, but the local client hasn’t seen that transaction yet? This is where “confirmations” come in. A new transaction will have zero confirmations, meaning that there is nothing actually proving that the sender had access to the fees. The local client can check the public ledger, and verify that it should have access, but, it does not know if it has “missed a packet” that says that they were already spent. When a new bitcoin block is mined, it “confirms” a bunch of transactions. The miners get transaction fees, and newly mined bitcoin as a reward to their confirmations of the transactions. With zero confirmations, you can’t actually be sure that the transaction is valid. When it has received a single confirmation, it should be trusted, but for transactions with larger value, most exchanges and bitcoin services usually wait for more confirmations (~6) before allowing the coins to be exchanged for goods or services. Within the bitcoin transaction, there is also a digital signature (ECDSA), to make sure you have access to the wallet doing the transaction, and OpenSSL is very “kind” to allow and accept signatures with an invalid encoding. The digital signature consists of two large integers, and in general, any leading zeros should be dropped. However, even if they aren’t, OpenSSL happily validates the signature anyways. However, the signature is part of the hash that creates the transaction id. This means that leading zeros can be prepended to those integers, making the signature still valid, but gives it another transaction id (hash)! Since the signature isn’t “altered”, just prepended with zeros, “anyone” could alter the transaction, and give it a new transaction id (since the hash of the transaction changes, even though the signature isn’t altered). The actual sender, recipient and amounts can’t be changed, since that would invalidate the digital signature. The problem is that someone in the bitcoin network could maliciously alter the transaction by keeping the signature valid, but giving it a new transaction id (hash). The transactions would only differ by the hash, not which bitcoin is being spent. The miners could confirm either of the transactions, which validates that the sender had access to the coins. The second transaction would never be validated, since the coins will already have been spent by the first transaction. Both transactions are valid, and they contain the same data, but they have different hashes (transaction ids). Only one of them will be validated by the bitcoin network. With version 0.8 of the bitcoin reference client, it would no longer relay transactions with leading zeros to the rest of the network, preventing troublesome transactions from propagating. The bitcoin network also does not allow newly mined coins to be spent, before they have 101 confirmations. 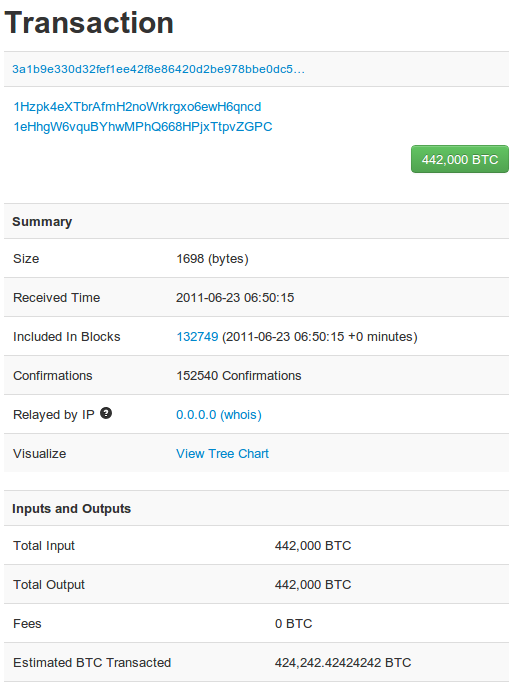 In September 2013, MtGox used freshly mined coins for transactions (which was denied by the network). Users started seeing failed transactions when transferring bitcoin from the exchange. MtGox didn’t know what was causing the issues, so they tried raising the transaction fees, to no avail. MtGox fixed this by changing their software to use the oldest coins first. Now, the reason was that their software was sending transactions with padded signatures, which were denied by other bitcoin software, to prevent the so-called transaction malleability flaw. Since the transactions were visible, and people wanted their own transactions to succeed, they would try to “help out” the exchange, by retransmitting the transaction, but with a fixed digital signature. They didn’t need access to the wallets, they just removed the zero-padding, which allowed the transaction to go through, but with a different transaction id. But, MtGox’s software didn’t like this at all. They sent a transaction, which failed, but someone fixed it, but on MtGox’s end, they didn’t know about the new transaction. The public ledger has the information that MtGox tried to send money from wallet A, to user B, and it is confirmed. MtGox should be able to see that “hey, these three BTC that I tried to send, but haven’t been confirmed in transaction id 123… HAVE been confirmed, but in transaction id 456 instead!”. They are either trusting transaction ids only, or ignoring the public ledger of the coins. MtGox thinks that several (SEVERAL) transactions have failed, when in reality, they have succeeded. 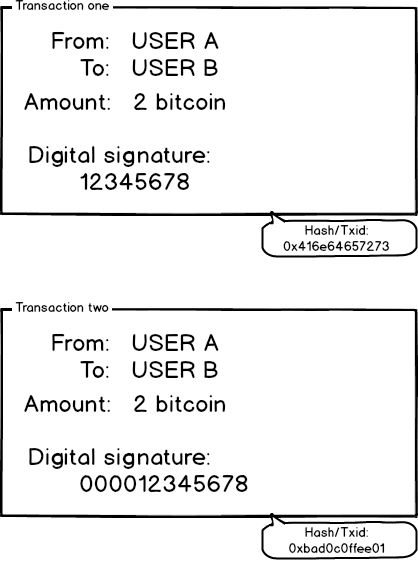 Transaction 1 is sent, trying to send 2 bitcoins, but fails due to the padded digital signature. Someone fixes the signature, so the transaction succeeds. Those 2 bitcoins are now spent, and arrived to their destination (often outside of MtGox’s control). But, MtGox still believes they have them, and are trying to use them in future transactions, causing the transaction to fail, because the money has already been spent. And this continued for months, before MtGox shut down all bitcoin transfers a few days ago. They have no idea which of their coins they still have, which are spent, which are sent where. They have a whole lot of cleaning up to do. Matching transactions in the public ledger with their software (and finance books). It’s fully possible that there has been no malicious theft done, but it’s also possible that someone has abused this ability to steal money from MtGox. How? User A tries to withdraw 10 bitcoin from MtGox. MtGox sends an invalid transaction (with padded zeroes). The transaction fails, but User A fixes the transaction. MtGox believes the transaction failed, when in actually succeeded. User A gets the withdrawal, but MtGox thinks it failed. User A can now re-try that withdrawal, getting another transaction, fixes that. Rinse and repeat. It’s fully possible to completely drain their wallets. And, other withdrawals will fail, because it tries to spend money that has already been spent. Increasing the backlog of transactions, customer complaints and problems. MtGox decided to blame their issues on the bitcoin protocol itself, claiming this was a newly discovered issue, when it has in fact been known for a while. It’s a horrible problem to have though, and it shouldn’t have been possible from the beginning. Bitstamp, another bitcoin exchange, currently the largest one, has also shut down their withdrawals, due to the same issue. And, I’m sure there are other implementations out there suffering from the same issues. There are also some reports of repeated floods of “duplicate” transactions on the network, just to cause havoc, or see who’s vulnerable. This is where we are today. MtGox have millions of dollars in seized assets, and an unknown amount of bitcoin lost or stolen due to their problematic bitcoin client. Will they survive at all? Will they make another internal transfer to prove they actually hold their users bitcoins? Or, should the tongue-in-cheek remark often heard that they should go back to trading cards instead perhaps be taken as a pretty good career advice? So, I guess you backup all your important information regularly. 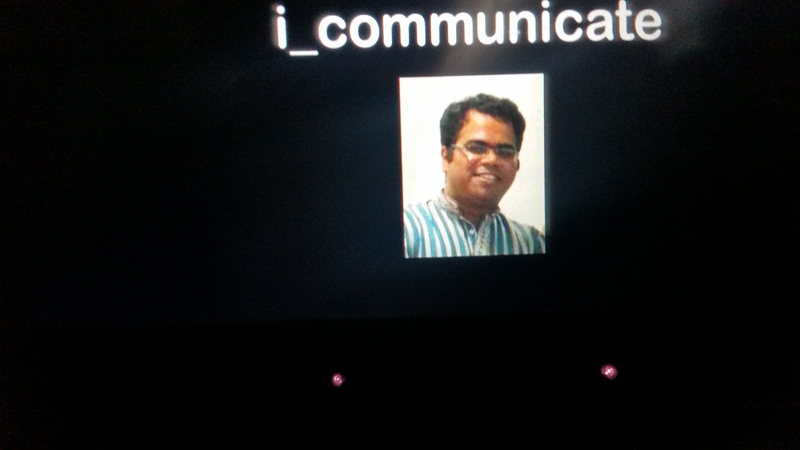 Automatically and with heavy encryption. On several mirrored locations. That’s great, because not many people do. My following question would be, ‘Which files do you backup?’ The most important ones, of course. This is why the so-called Asusgate is a problem. (I wrote a post about ASUS routers that shared LOADS of private information on the internet without their owners’ knowledge.) Your goal is to keep the data safe, but Asusgate points out that many people have no idea of how to keep data safe. The short version of the story, is that people plug in a USB drive into their ASUS router, in order to store backups, and allow for local file sharing. Little do they know, if they just click next-next during the setup, they also allow full access to all their files via anonymous FTP from the Internet. Recently, someone released a pack called “ASUSGATE: A story about thousands of crimeless victims” containing “6536 complete and 3605 partial lists of files shared from these ASUS routers”. There are also a bunch of usernames and passwords (3131) for AiCloud, ASUS file sharing service, since there’s also an exploit to get those in plain text. In the data, there are a bunch of zero-sized files (774 of them), and some marked as “partial” (3605) meaning they have no, or not all, data. This could happen because the user has disabled the fully-open FTP access, the IP address got changed, or because the FTP server was overloaded. When TechWorld and PCWorld Norway broke the news the first time, I got hold of some other file lists. I started by cleaning up all empty files, and then merged the old list with these new lists. This means that I will treat partial lists as if they are complete, for simplicity. This made me end up with a total of 8774 open routers, occupying a nice 15 gigabytes of just file names(!) from peoples NAS drives. First, lets look at the most obvious data.. where are these routers located? There’s a huge number of publicly accessible drives in the United States. At least 3617 of them. Four times the number of the runner-up Russia with 910 shared drives. Since all this data is based on Shodan and the like, and manual scanning, many devices will also be missed. But all these were open, and had files on them, during scanning. Now, what else is interesting? These drives are almost exclusively used for local file sharing, and backups, so of course the file types are interesting! In total, there are nearly 165 million files (164,838,345) that people have, presumably unknowingly, made available to everyone. There’s almost 75 million images (45.40% of all files) shared. This might not be too weird since people are storing their backups on their NAS drives. But, what other “important” files are there? 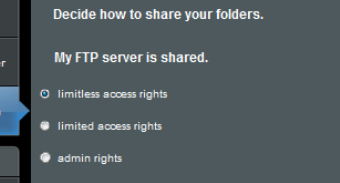 These kinds of files were the first I saw being distributed in a few forums. Horrible. I assume that they are either emptied already, or someone running password-cracking on them if they were protected. Browsers, FTP-clients, etc allow you to remember usernames and passwords. Easy way to access account information by just downloading the files the credentials are stored in. Same here. There are a big bunch of them, containing at least server information, and some probably contain stored passwords also. Software like KeePass, PasswordSafe, 1Password, etc allows the user to safely store multiple passwords, protected by a single password. There are a bunch of these files also. People still need to have a secure password, otherwise they can be easily brute-forced, giving access to all other passwords. Here are some unnerving news for owners of ASUS routers. 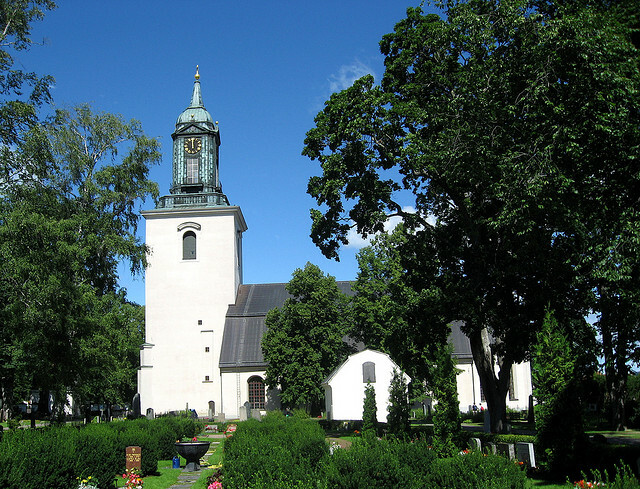 The Swedish publication TechWorld has revealed that USB hard drives connected to ASUS routers are easily reached through the Internet unless they are properly configured. The following ASUS routers seem to have this “feature” available: RT-N66U, RT-N56U, RT-N15U, RT-N65U, RT-AC66U, DSL-N55U and RT-N16. As far as I can tell these settings aren’t default when you just plug an external drive in the router, however, mis-configurations are very common and are to be expected, and this really needs to be addressed. A user just clicking next-next when installing a USB drive in the router, would enable “limitless access rights”. ASUS has stated in the manual and on the box that this configuration is supposed to enable completely open access to the user’s files, but checking Shodan for matches, one easily finds tens of thousands of users worldwide who have, probably unknowingly, published material such as private photo folders and pirated movies for all to see. As usual, shady people are flocking to this, in a scavenger hunt for anything interesting. There seems to be a good deal of vacation pictures, games, school reports, CVs, music and so on. They are doing this in hope of finding some raunchy pictures, wallet.dat’s or other things they can use to further intimidate/fool/hack the user. 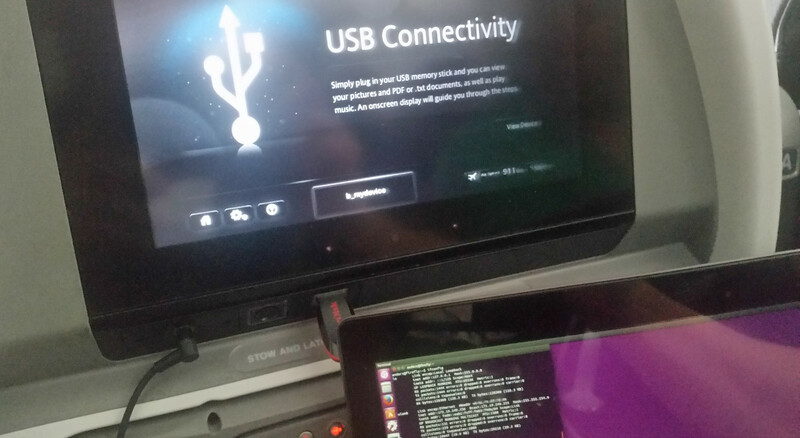 Many people are using the NAS as a backup, and now sharing their files (with write-access) to the world. I really don’t understand why a setting to enable full access to the NAS drive via anonymous external FTP is even available in a home-segment router in 2014. Another interesting thing is that some of the shared drives contain files that state things like “You were hacked because you are stupid. Password protect your router!”. People trying to be friendly(?) so the owner hopefully notices they have enabled access to the drive. This could also, but it is a long stretch, mean that the people doing this are providing some users with a kind of alibi – “I was hacked and all those movies were put there by someone else!”. This was actually quite common more than a decade ago, where FTP servers with upload access where often abused to store copyright protected material. Problems with default configurations, and things being “too easy” to open up is nothing new, but a quick check of Shodan shows that there are close to 20.000 FTP servers worldwide with anonymous access available, presenting themselves as “ASUS”. This is not an exploit or vulnerability in the ASUS router, it’s more of a rather stupid combination of settings. The problematic feature of the routers in this case is the possibility to connect a drive to the router and then use it both as a NAS and as an FTP server. For many users this is just great, but it is also easy to make a possibly fatal error in the setup process, since the standard setting, according to TechWorld, is a small radio button called “limitless access rights”. I really think this is a horrible setting in general, and there needs to be some big warnings if the user should choose to enable it. tl;dr: Some ASUS routers make it too easy to share your USB-drive/NAS with the world.